I am counting down the days till Barfi comes out! I can't wait to see Ranbir, Priyanka and now this newbie Ileana D'Cruz light up the screen! I am in love with the soundtrack! Check it out: Barfi Musicbox on YouTube! 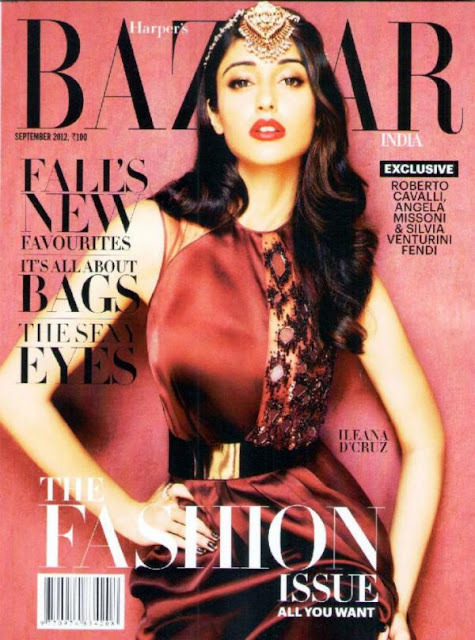 Love this shoot by Bazaar India with Ms. Ileana D'Cruz as their cover girl! She's so pretty!! Lots of Dior, Amarpali and so much more! There is definitely a 70's feel to this shoot. Barfi is set in the 70's. :) I love the Prabal Gurung and Dior skirt and top the most! Ileana wore a gorgeous red lip that went with every outfit! Love the makeup! Check out the amazing shots by fashion photographer Suresh Natarajan. Work it out girl! In this McQ Dress, Tom Ford heels, bangles on left hand: Alpana Gujral, Anmol Jewellers, and Gehna; bangles on right hand Gehna and Mahesh Notandass. Disco Deewane! Gold Trousers and Jacket by Temperley London; Anand Kabra Kurta; Large necklace: Mahesh Notandas and chain necklace by Ceres. Outfit by Givenchy by Riccardo Tisci. 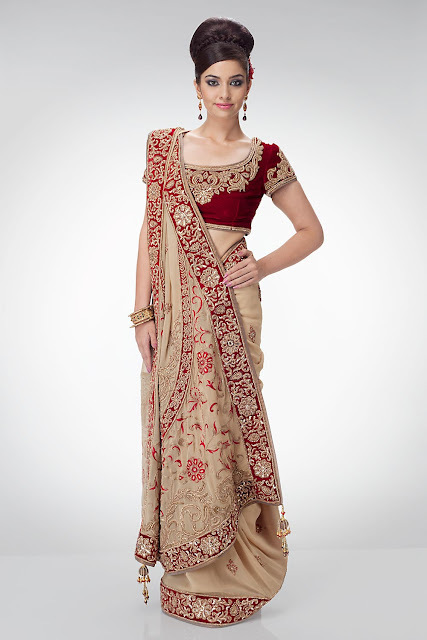 (minus the belt) and hand ornaments by Anmol Jewellers. The winner! Christian Dior Dress, Amarpali Maang Tikka and Minawala ring. Angelic beauty! Prabal Gurung dress and Amarpali arm candy and maang tikka. Stella McCartney dress and Gehna Jewellers neklace. Dior Dress, Minawala ring and Rose Brooch.